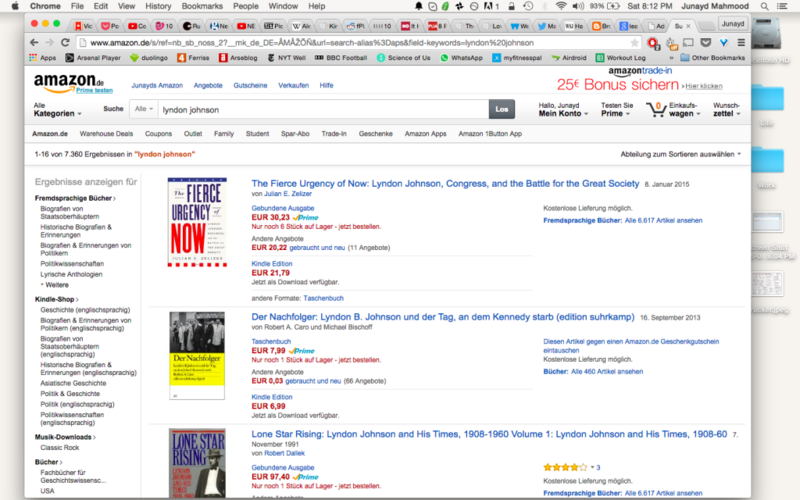 I just searched for Robert Caro’s Lyndon Johnson books and want to add them all to my cart, but instead, I have to open up 3-4 tabs, go to each page and then hit add to cart, then close each page. 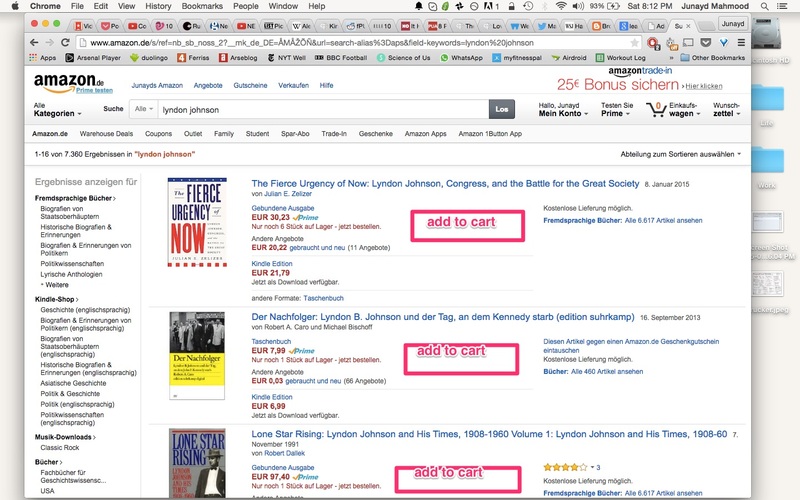 If anybody should be minimizing clicks-to-cart, it’s Amazon! But maybe what I’m doing is an edge-case….